Coffee - considered by many the quintessential caffeine delivery system in the world. Those luscious little beans have been cultivated on every continent except Antarctica. However, many people don't like coffee due to some of the bitter compounds present in the brew. Compounds such as chlorogenic acids, trigonelline, furfuryl alcohol, and even caffeine itself lend bitter flavors to a pot of fresh coffee. Fans of the drink have been trying for centuries to find the best way to extract all the flavor and aroma from coffee, while extracting only a balanced amount of bitterness. Aerobie, created a way to brew a single cup of the most flavorful and yet least bitter coffee you've ever tasted. Coffee snobs around the world have enjoyed the Aeropress coffee maker, and have compared the brew it makes to brews made with expensive commercial coffee machines! One minute from start to enjoy. The actual press time takes only 20 seconds. Add 1 scoop of freshly ground coffee. 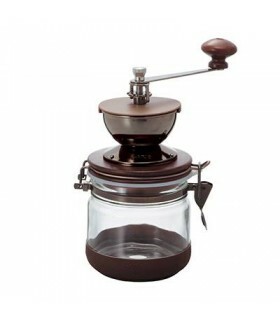 You need it ground finer than French Press but courser than Espresso, a drip grind would be perfect. Boil fresh water and wait 60 seconds before putting water onto coffee, 85C is ideal. Add a touch more hot water to top up then plunge the Aeropress slowly! You can then add some more hot water if you wish, stick in travel mug and off you go! You can experiment with the Aeropress as long as you like to make the ideal cup of coffee according to your taste. 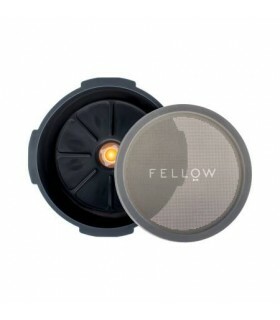 Comes with 350 micro-filters, which are also available seperatly.